Become star-struck! 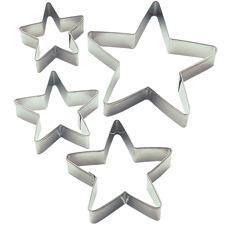 Nesting metal star cutters are great for everyday and holiday use. Great for graduations too! Recipe included. Largest cutter is approximately 5 in.